Whether you are hiking through Mystery Mountain or exploring the beauty of rain forest, you will always need to track your way ahead. Hiking gives the freedom of losing yourself in beauty and depth of the forest. But after that, you need to find a way back to civilization, which is where hiking GPS comes in. A hiking GPS can help you track your way in rugged and unknown outdoor land; where a cell phone network can’t reach. These devices are lightweight and equipped in a way that meets the demands of hikers. A handheld GPS device helps you find or plan your routes and to mark points of interest so you can find your way back. The best hiking GPS will provide the information even in extreme weathers. 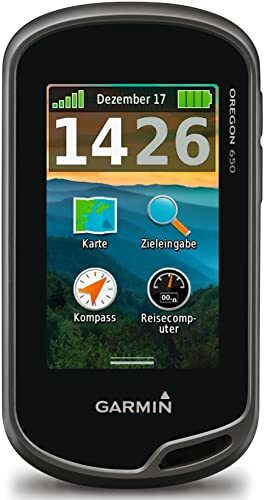 As it’s a complex piece of technology, so finding the best hiking GPS according to your situation is a way more difficult. That is where we come in. Read on to know more. A hiking GPS has several advantages compared to a smartphone which is often used by some recreational hikers. A GPS can provide continuous service with a longer-life battery. That’s why hiking GPS is used by many athletes and professional hikers over a smartphone. These devices are useful in hiking, trekking, and mountaineering; but how do you know which one is best for you? Here, we’ll walk you through our ten best hiking GPS so you can choose the right one. For more of our ten hiking GPS have a look through the details below. Garmin opens a new world of mapping and positioning, with their Oregon handheld GPS. Oregon is widely acceptable by the professionals for their best navigational capabilities. Oregon is somewhat known for its exceptional and super-bright three-inch display. This touchscreen has multi-touch capabilities which are readable even in sunlight. It looks much more like a smartphone than a heavy GPS. Its GPS/GLONASS technology assure the location accuracy where there is a lack of antennas. Oregon includes a Bluetooth system so you can transfer data from compatible devices. Also, it supports wireless service for downloading weather report, maps, and geocache locations. Regardless of any weather condition, you can interact and operate with an effective user interface. It also features a 3-axis compass, accelerometer, and barometric altimeter, which helps you to track directions and to plan your elevation gain and loss throughout the journey. Also, the dual battery system will keep you updated for long. You are getting this sophisticated GPS at a reasonable price. Garmin GPSMAP 64s is possibly the rugged, full-featured, and most loved GPS unit in the GPS community. It is an all-rounder handheld GPS unit with all the features that a hiker ask for. It features a 2.6″ color display screen that is readable in both low and high light condition. Due to the high resolution and transflective display, you get fluid zooming in and out option. So you can easily navigate the direction. GPSMAP is equipped with a helix antenna with GPS and GLONASS technology. It increases the satellite lock speed and position accuracy. Also, it keeps upgraded all the information about your location. The Bluetooth chipset allows you to connect with other devices to transfer data. It also supports notifications such as missed calls, text message, and other alerts from your phone. Other features include electronic 3-axis compass, barometric altimeter, and other sensors. The sturdy button design allows you to use it while wearing gloves. Also, the dual battery system lasts for up to 16 hours of use. Overall, this is highly preferable for reliability, efficiency, and effectiveness. Garmin GPSMAP is available at a compatible price. 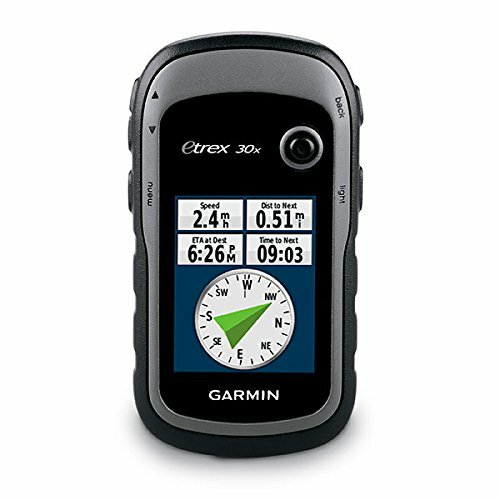 Garmin eTrex is a new generation version handheld GPS with a convenient display and better resolution. This is perfect for mountaineering, hiking, and trekking. Garmin eTrex features a 2.2″ sunlight-readable colored display with enhanced resolution. Though the screen is small than the previous two, it provides superior readability. It has a large internal memory and microSD card slot that allow you to load more maps and data. You can wirelessly connect to the compatible devices due to the Bluetooth feature. Also, it keeps you dated through both GPS and GLONASS system. The built-in sensors help you to track changes in pressure, identifying the location, GPS receiver, and to maintain a signal in the heavy valley. The Garmin eTrex can run up to 25 hours with a single charge. Besides, it can also be used for showing sea level and to predict the weather. It can be fit easily into your pocket due to the compact, durable, and lightweight design. 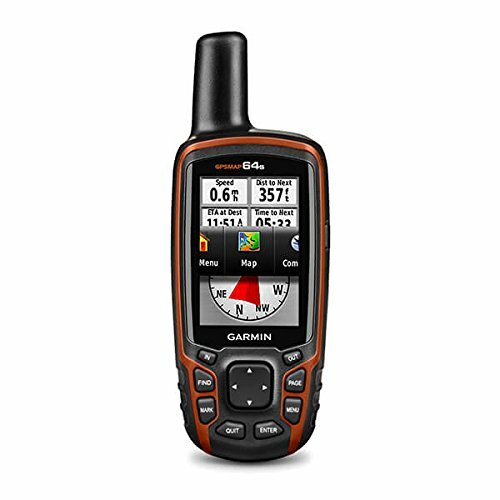 Garmin inReach features a satellite messenger-GPS hybrid that allows two-way messaging from anywhere in the world. The tracking and messaging company DeLorme highly appreciates this unique GPS. It includes a dedicated SOS function that automatically triggers a notification for non-stop search. The feature also helps to locate you through monitoring center. If you stay out of the grid, the handheld GPS will send your location through satellite messaging, sending notes to both telephone numbers and email address. So, your friends and family will get updates about your location. The GPS has a built-in map; if the maps don’t work for you, then you can simply pair the GPS with your mobile device. It allows you to download the map from the Earthmate app. 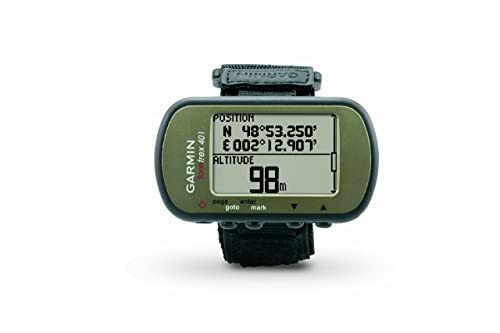 This GPS unit comes with a pre-loaded base mapBesides; it has a built-in compass, barometric altimeter, and accelerometer. This handheld GPS allow the quick and reliable reception. Also, it is available at an affordable price. Garmin Foretrex is slightly different than the above GPS units. This one is simple, efficient, and comes with an affordable price. Foretrex is a life-saver and highly used by the military as well as regular hikers. The exceptional thing about this GPS is that it comes with a wrist band. It is lightweight enough that it won’t hurt you even if you wear it for long. It features a high-sensitivity GPS receiver that assures improved reception and performance. Foretrex keeps every single information about your routes, tracks, and waypoints. GPS unit will track your routes as you walk and you can trace your steps through “TracBack” feature. It supports dual position readout so that you can observe your location in multiple formats. Besides, it includes sunrise/sunset times, hunting information, electronic compass, barometric altimeter, and a trip computer. It also supports Bluetooth and other wireless services. It operates on dual batteries that assure 17 hours battery life due to black and white screen. Overall, the sleek design, simple, speedy, and smart features are worth twice its price. This rugged handheld GPS navigator offers all the basic features that you look in a GPS device. 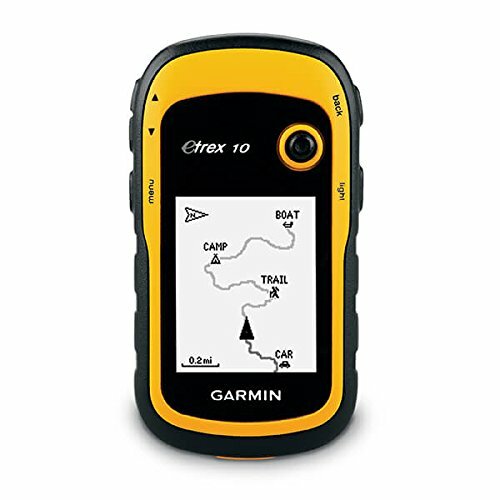 Garmin eTrex 20 is equipped with pre-loaded worldwide relief base map. It features a 2.2″ sunlight readable display that is clear and easy to read. The navigator has an extended internal memory so that you can store different maps and data. 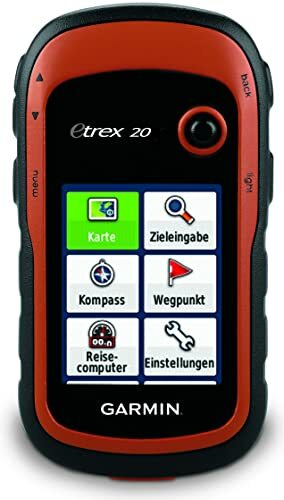 The eTrex 20x has a WASS enabled GPS receiver which makes finding your location much quicker and accurate. It includes a BaseCamp software that allows you to organize your maps and plan the routes. The GPS is compatible with different types of vehicle. Its user-friendly interface with button allows you to use even wearing thick gloves. The device is so lightweight, compact, and durable that can fit into your pocket easily. The battery can last up to 25 hours so that you can enjoy your beautiful journey. It provides the constant performance, no matter what kind of extreme situation you are in. Also, it is available at a very reasonable price compared to others. No compass, barometer, altimeter included like others. 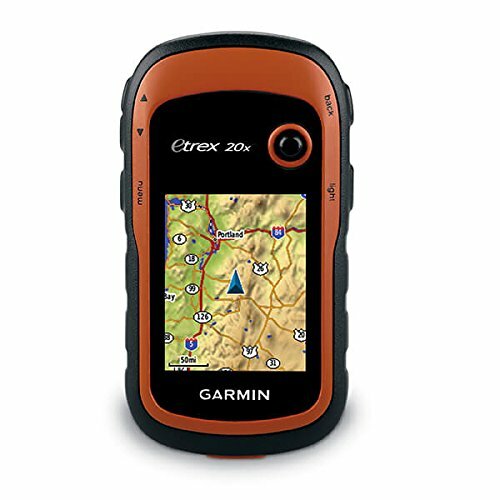 Garmin eTrex 30 is one of the popular and reliable handheld GPS at an affordable price. The enhanced ergonomics, excellent interface, and expanded mapping capabilities make it superior to others. This rugged navigator includes a pre-loaded BaseMap that you can watch in a 2.2″ color display. With the high sensitivity GPS receiver and HotFix satellite prediction, it can locate you quickly. Similar to other eTrex series, it can track both GPS and GLONASS satellite instantaneously. The built-in 3 axis compass shows your heading; barometric altimeter identifies your depth. You can share waypoints, routes, and geocaches with other devices through the wireless. All these features make eTrex 30 more versatile and user-friendly without compromising with toughness. The device is compatible with topographic and other mobile devices. This waterproof provide the consistent service with durable AA battery. It is available at a reasonable price. Garmin GPSMAP 64 will definitely bring back your memories of using the old mobile phone. This rugged and full-featured GPS is another worldwide handheld in our list. It features a high-sensitive GPS and GLONASS technology to provide you the accurate information about your location. This button interface navigator is waterproof, reliable, and durable. The GPS device has a built-in worldwide handheld map. You can precisely watch all the data through 2.6″ sunlight-readable display. The screen is visible in both low and high light. The screen supports BirdsEye satellite imagery when needed. It includes a LED flashlight that will guide you in both day and night. With the extended internal memory, you can store the maps and data. It comes with rechargeable 4 AA battery that assures the longer battery life. An additional carrying bag is included with the device. 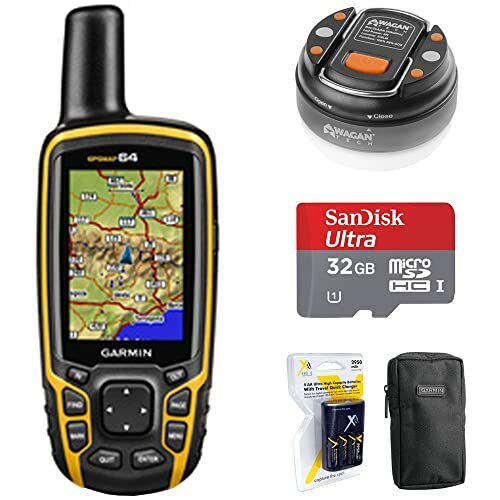 This best hiking GPS is available at a reasonable price. The recreational hikers highly recommend Garmin eTrex 10 due to its lower price. Despite the lower price, it maintains the core functionality, rugged construction, and longer battery life. It has a 2.2′” monochrome display with pre-loaded worldwide BaseMap. It keeps updated you with every single detail of your current location. This waterproof navigator can stand against extreme rainy weather. With the precise user interface button, it allows you to operate them while wearing gloves. It supports paperless geocaching and spine-mounting accessories. Like other eTrex devices, it locates yours quickly with highly sensible GPS receiver. The Garmin eTrex 10 can track both GPS and GLONASS satellite technologies. It allows you to store waypoints along a track. So, it can calculate the time and distance between high and low elevation points. Also, it requires 2 AA battery that lasts for up to 25 hours. Above all, we must say that it’s a great deal. This is probably the lowest priced product in our list. You should give it a try! 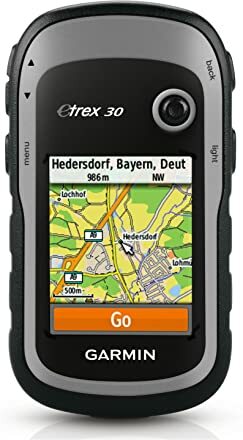 Our last hiking GPS is the upgraded version of popular eTrex 20. It differed from the previous version with enhanced screen resolution and extended internal memory. Similar to eTrex 20, it has a 2.2″ colored and more readable display with increased resolution. It also can be used on bicycles, boats, ATVs, cars, and hot air balloons. With a large enough internal memory and micro SD card slot, you can load a lot of maps. The navigator has a pre-loaded worldwide BaseMap with covered relief. This highly-sensible GPS includes WAAS-enabled GPS receiver with HotFix and GLONASS support. So that, it can locate tour location accurately and quickly. It features precise user-interface side button that can be used while wearing gloves. The device is enough lightweight and compact that can fit easily into your pocket. The battery can last up to 25 hours, so you don’t need to worry during long hiking day. The GPS device itself is tough and water resistant that can endure any extreme condition. In a word, no matter what sort of situation you are in, this navigator will serve you with excellent performance. Also, the price is reasonable for all to afford. It might be challenging to identify your needs or to find one among the massive collection. Though many GPS offers too many features than our necessity, so you need to be careful while purchasing. There is some smaller unit that is reliable and comes with robust features. Indeed, you’ll be benefited from these. That’s all for best hiking GPS. If you have any different suggestion that we didn’t mention, or else, if you have any queries about our listed GPS then don’t forget to share with us in the comment box below. We will be back to you with another interesting topic.